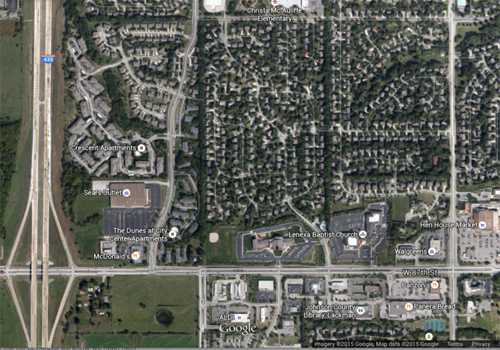 I shared my thoughts recently on the idea of “sprawl retrofit” which also sometimes goes by the name “sprawl repair” or “suburban retrofit.” Today it’s time to take a step backwards and define what I actually mean by the very broad term “sprawl” since there’s often so much confusion on the topic. In simple terms, I agree with how Chris Leinberger breaks out “walkable urbanism” and “drivable suburbia.” I think this is a very good starting point, since it accurately describes the two very basic systems of how our cities our built. One system is essentially built around people on foot (or bike, since the two are mutually supportive) and the other is built around people moving in cars. Each broad system then has its sub-categories, which much more accurately describe the nuance of our actual built environment. Walkable places, for example, range from “small-town urban” up to “big-city urban.” The scale and context differ, as do the design, policy and management solutions. The result is a range of living environments that we’re capable of producing, all of which are fundamentally built around walking and biking. I’ve written about how to describe this taxonomy previously here. 2. Standard subdivision suburbia (SS) I called this Late Suburbia previously. In my previous blog entry, I mentioned that I think only one of the four types is worthy of any time or effort by urbanists. 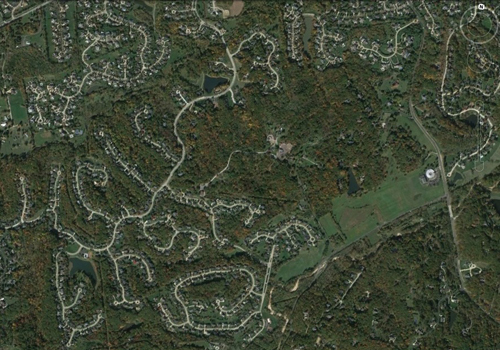 In my opinion, that’s #1 – pre-interstate suburbia. And, I’d caution – not everywhere, in every community. 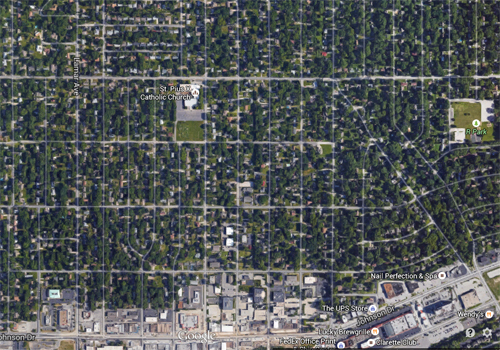 My rationale is pretty simple – most PIS was still built with reasonably-connected street networks, and not based on the mile-square grid that came into being with the interstate system. The streets are thus narrower, the lot pattern is smaller, and it’s not at all impossible to imagine quite a bit of it evolving into a nice, B- version of small-town urbanism. The commercial parcels are generally small enough to convert to neighborhood centers, and some of these places even have a semblance of public parks and public spaces that can support walking and biking. The earlier it was developed, the better, since the homes are also small and thus can reach the affordable needs of those who want to take on smaller mortgages and rebuild or build up slowly. 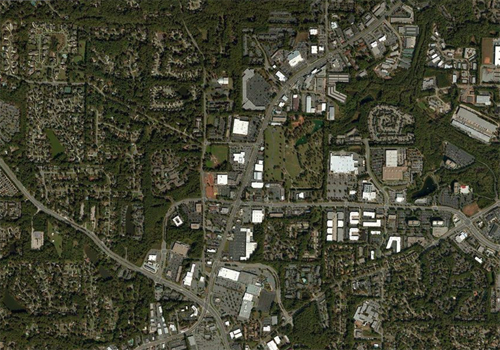 In essence, this era of suburbia was built before the era of “bigness” came into full flowering. The major obstacle for these places evolving tend to be in the realm of zoning and legal code mechanisms. With quality plans and form-based codes, these could have substantially more housing diversity, and thus more affordability and wealth-building capabilities. Doing so would further enable the commercial sites to redevelop into fully-functional walkable neighborhood centers, and give these places a solid future. In some cases, the street networks and public spaces could also use rethinking, and fortunately those would likely be inexpensive repairs in the whole scheme of things. Also, since they tend to be adjacent to the pre-war urbanism a city had, they benefit from location and can support the urban revitalization of our cities and towns. But the reality is, the political obstacles to making these kinds of changes are just too high today nearly everywhere. For most people living in PIS, the changes would be too radical and too urban. I do think in time that will change, especially with the success of the older urban areas, but for now in most places it’s a very difficult proposition. Which is to say, that’s all the more reason to focus on what we can make great today, and move to PIS later. In terms of the other three sprawl categories, my feeling is that they don’t merit the time and talent of new urbanists or urban advocates. As I argued previously, the rewards are just too little while the risks and effort are too much. SS – the standard, large-scale separation of uses that has come to define much of what we know as suburbia, is where so much energy and hand-wringing has been spent in recent years. 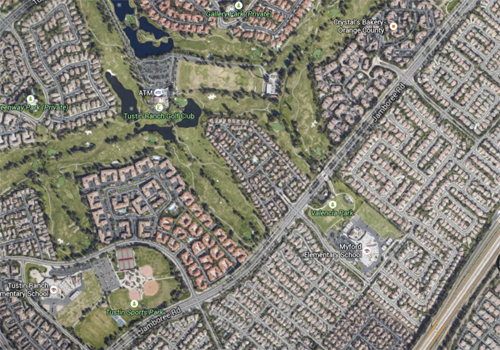 It’s organized around large arterial roadways spaced at one mile minimum separations, with large separate pods of garden apartments, differing kids of residential subdivisions, retail centers, office parks and shopping malls. Bigness, to the core. Sure, it’s a good thing if a regional mall or office park in SS redevelops into a walkable center. I’ve always thought that those types of evolutions were logical, and am not saying those are somehow “bad.” We already have some solid examples to learn from and see how it can work. 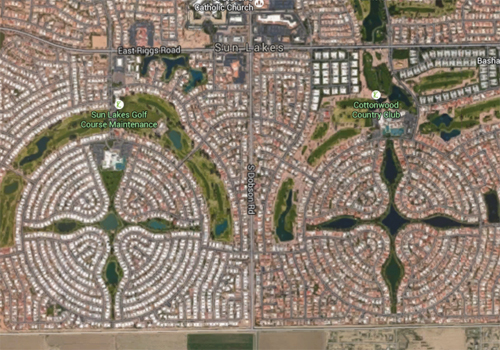 But ultimately these types of re-dos have two major problems: one is that they exist as urban islands in vast seas of drivable suburbia, and secondly that they simply aren’t diverse. By that I mean, they are places that are generally in the hands of a single owner, or very few owners, and lend themselves to big-scale projects and interventions. There’s no place or opportunity to create the kinds of gradual change that actually makes for great human settlements. To put it bluntly, these are consumable products, and their owners will turn on a dime to whatever they think is the prevailing market trend. Don’t be surprised for a minute if some of our current “lifestyle centers” are torn down completely in 15 or 20 years to be replaced by the latest, greatest idea for big developments. In essence – they don’t need you and your exceptional urbanist skills. Type 3 is similar. These are big, sometimes enormous developments, often controlled by one entity. The opportunity for small-scale intervention is essentially nil. They rarely connect to anything beyond their own boundaries. But I would say this about MPC’s: most are already more walking and biking-friendly than most urbanists will give them credit. Hilton Head Island has 65 miles of off-street bike paths that are pleasant and well-used – how many miles does your city have? Now, these places may have housing “product” all separated into their own pods, but these are still better than SS Suburbia. In fact, they’re better because they were created in reaction to SS Suburbia – they are the next evolution of it. It’s also conceivable that the commercial portions of these could evolve into something more walkable, much like Haile Village Center did on Haile Plantation. Today, Haile Village is still arguably one of the best TND’s built, but it’s nestled into a 1,700 acre MPC. For many people, that is just enough walkability to suit them, and the path for urbanists to create even more is fraught with serious difficulty. Again, in terms of where to spend precious time, I would advise against it unless you’re on the payroll of the controlling entity. 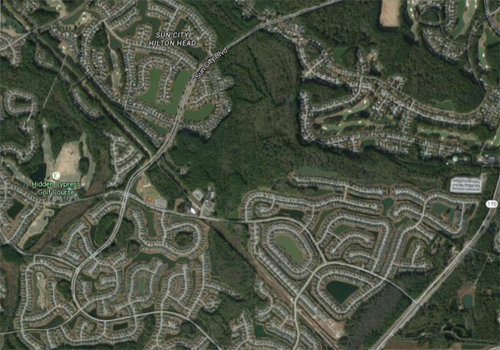 Type 4 – rural sprawl, is just plain silly for urbanists to wade into. Again, we need to realize that a portion of the market really likes this. Some folks VERY much desire the seclusion of this type of living, and are willing to do what it takes to enjoy it. My experience tells me that many people in rural sprawl don’t want little hamlets or villages, no matter how great they might look on a rendering or a plan. They in fact want isolation in the woods, and don’t mind the driving it takes to get to and from it. Some folks choose this in order to enjoy quiet solitude, while others enjoy the opportunity to grow something on a few acres or have animals. And, shocking as it may sound, quite a few people just don’t like cities or being around other people. That is okay; why must we insist that it be otherwise? Now don’t get me wrong—I enjoy quaint little hamlets and rural villages that I’ve visited in so many places, and it would be MY preference if I lived in the country. But then, I don’t. I live in the city, and prefer being around people and urban life. And let’s get real. RX affects such a small percentage of people—why bother? Let’s spend our time and energies in places that can impact the lives of thousands or hundreds of thousands in a positive way, instead of making enemies of relatively small numbers of people that want a large-lot retreat from humanity. What does it really gain us? 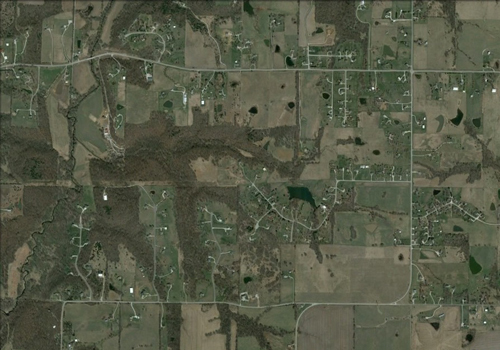 If there’s a chance to control enough acreage and do a true town, go for it! 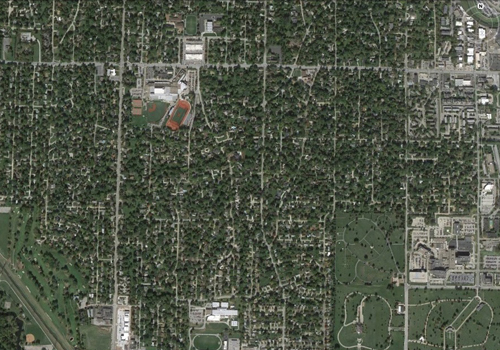 But the fantasies of turning every large-lot sprawl area into rural urbanism needs to be put to bed. This column was originally posted on Kevin’s Walking the Walk blog. Kevin is the executive director of Savannah Development and Renewal Authority in Savannah, Georgia. 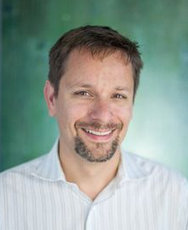 He believes effective urban design (or town planning or city planning or urban planning) requires three areas to succeed: a clear and inspiring vision for the future, quality leadership that is set up for success and the knowledge of tools and techniques that work. He focuses on solutions for those areas first and foremost, not lofty academic ideals that don't translate to reality.